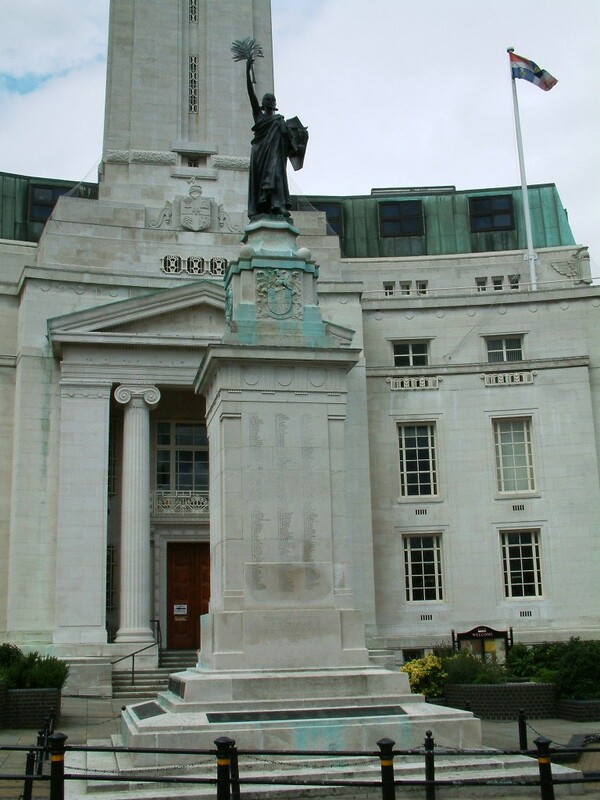 I first saw this chap on the Luton War Memorial outside the town hall, close to the Arndale Centre, and I immediately bought some flowers and left them for him. 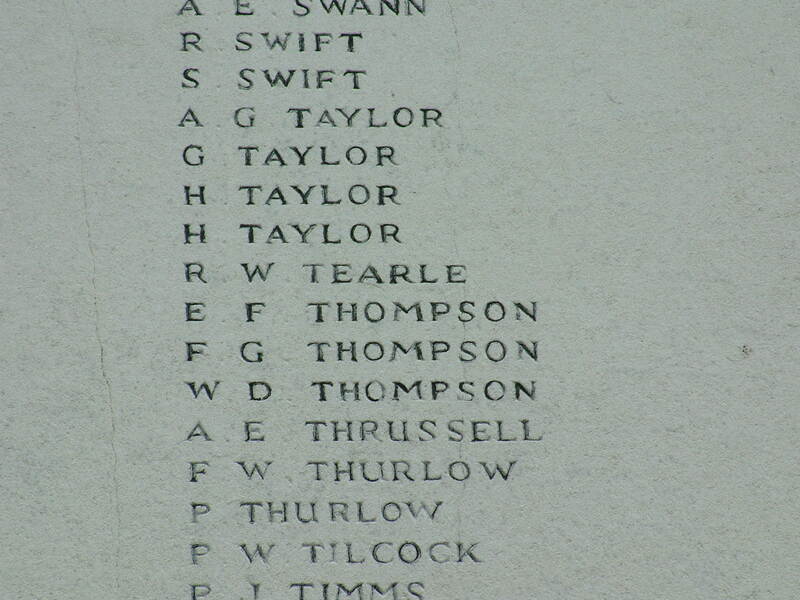 His name was Ronald William Tearle and he was the only son of a famous Luton Methodist lay preacher, William Underwood Tearle 1864 of Luton and Mary nee Bird. This family is on the branch of Joseph 1737. 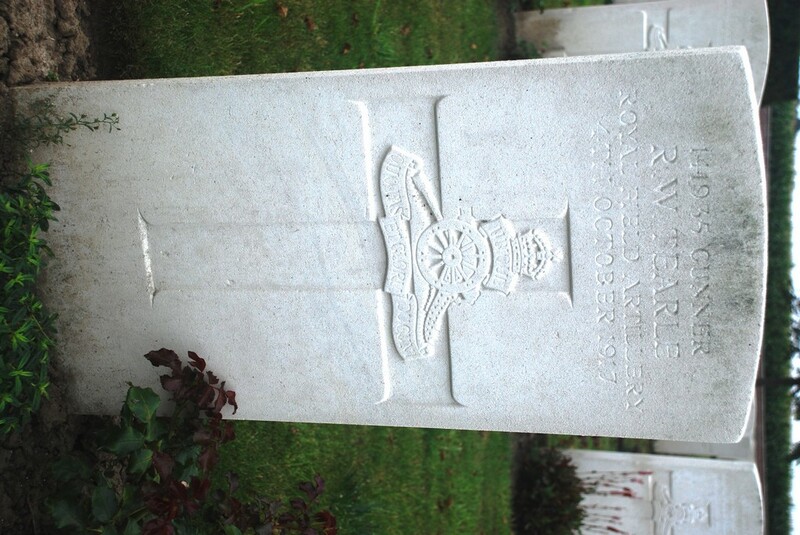 Here is his record from the CWGC. Unit Text: “C” Bty. 95th Bde. Grave/Memorial Reference: X. A. 18. WW1 inscription on the Luton War Memorial. 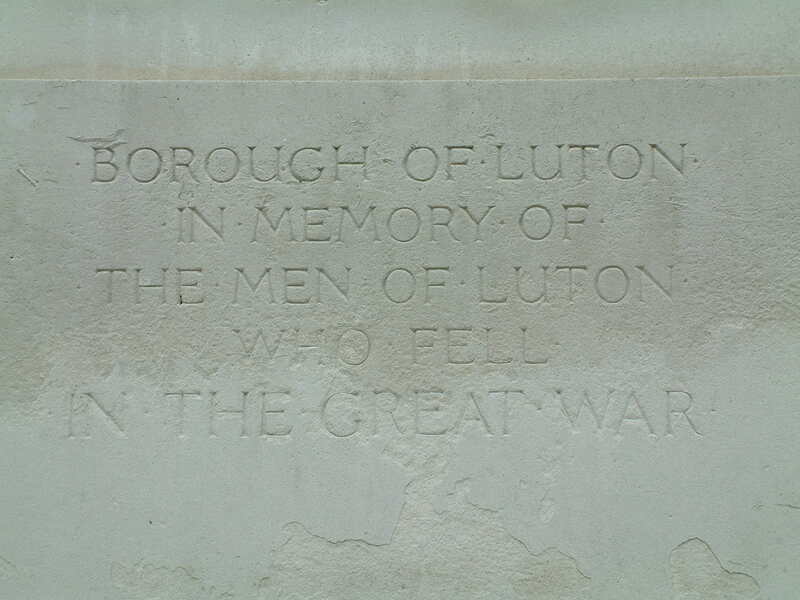 WW1 War Memorial Luton. 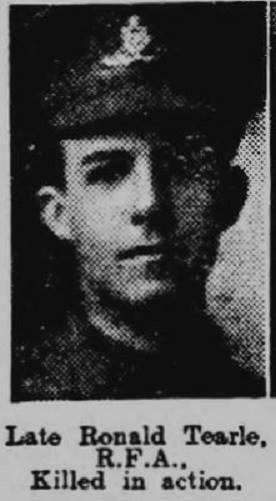 Gunner, Field Artillery, R W Tearle died 4 Oct 1917. 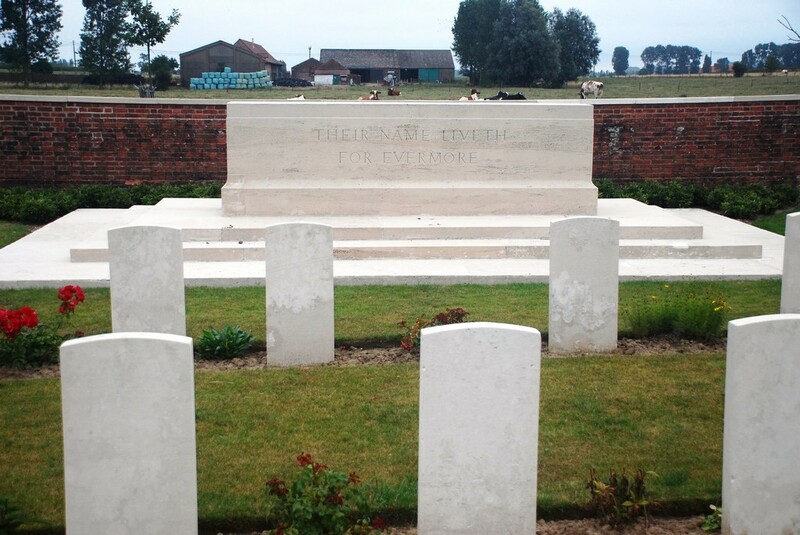 We visited The Huts Cemetery in Dikkebus, not far from Ypres. You can get there by bus, but you cannot come back by bus on the same day. We took a taxi there – and back. 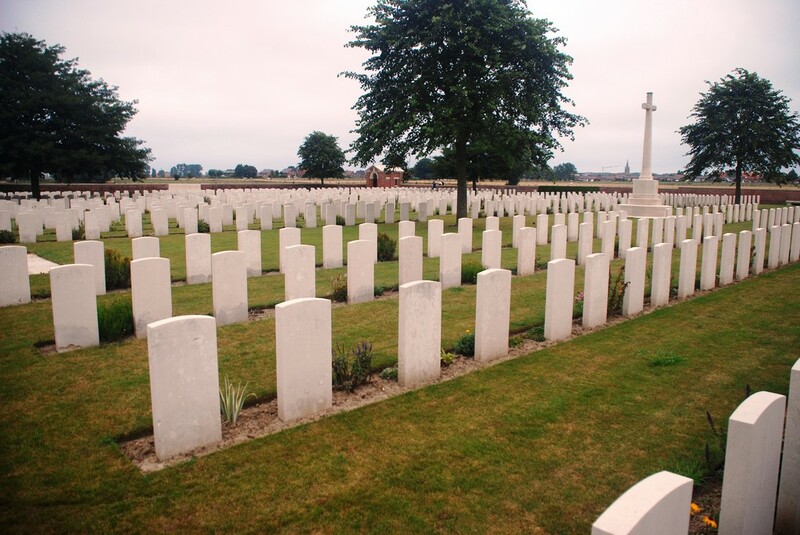 Across the headstones to the Great Cross; The Huts Cemetery, Dikkebus, Ypres. 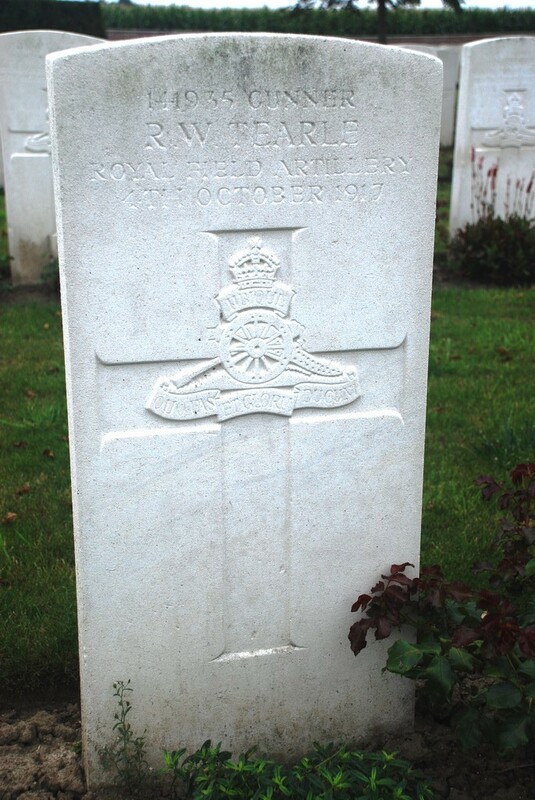 Ronald William Tearle 141935 – headstone in The Huts Cemetery, Dikkebus, Ypres. 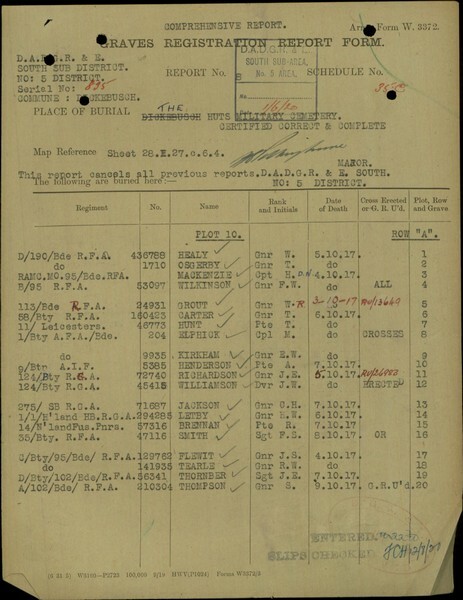 Here is the report to say Ronald has been correctly buried and recorded.